Well... Here it is! 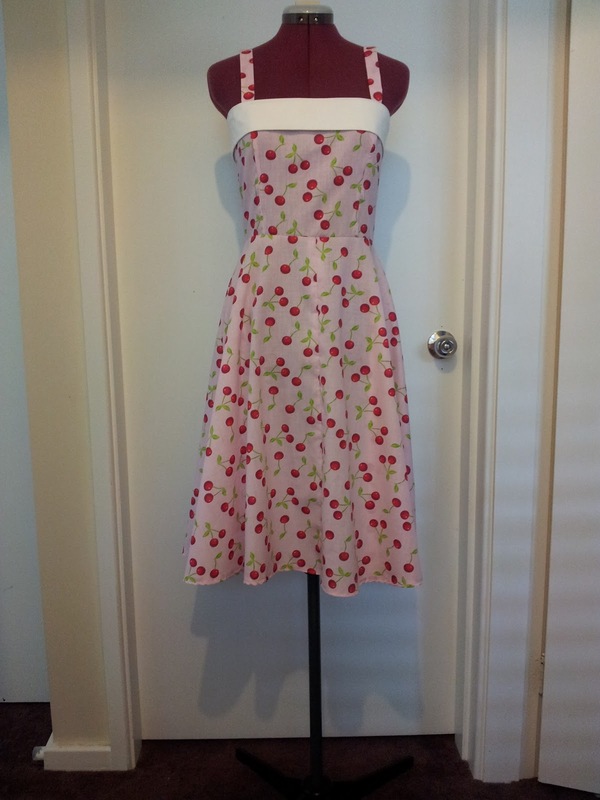 The cherry dress I have been working on. I sewed it on my own (but am very lucky to have my mum around as I am always asking her questions about sewing and if I'm doing it all right). But I am very proud of myself and think I'm slowly improving my sewing skills! 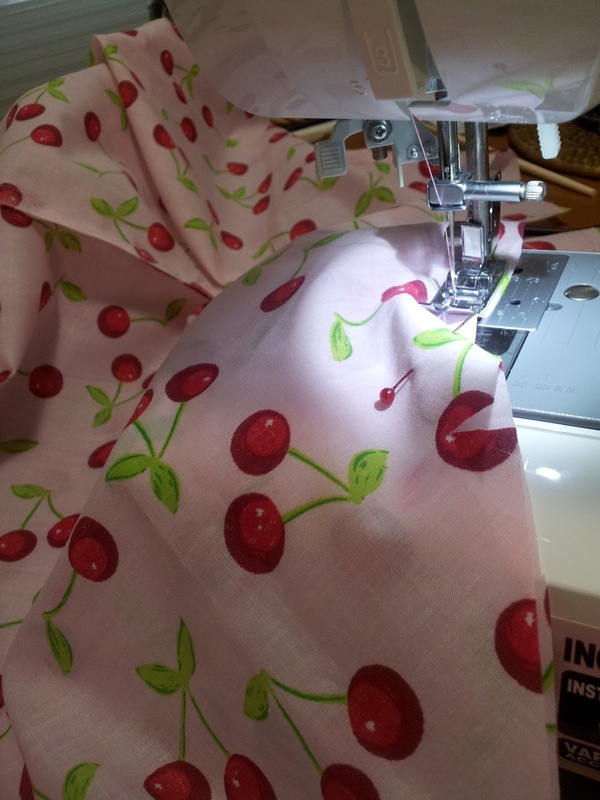 I love the cherry fabric so much... The fabric is so light too which is perfect for the hot Australian weather (which I do not enjoy). I wore my newly made dress out to the movies to see Silver Linings Playbook with my mum and we both agree that it is an amazing film. When we came home we were so excited to see Jennifer Lawrence win an Oscar for it! 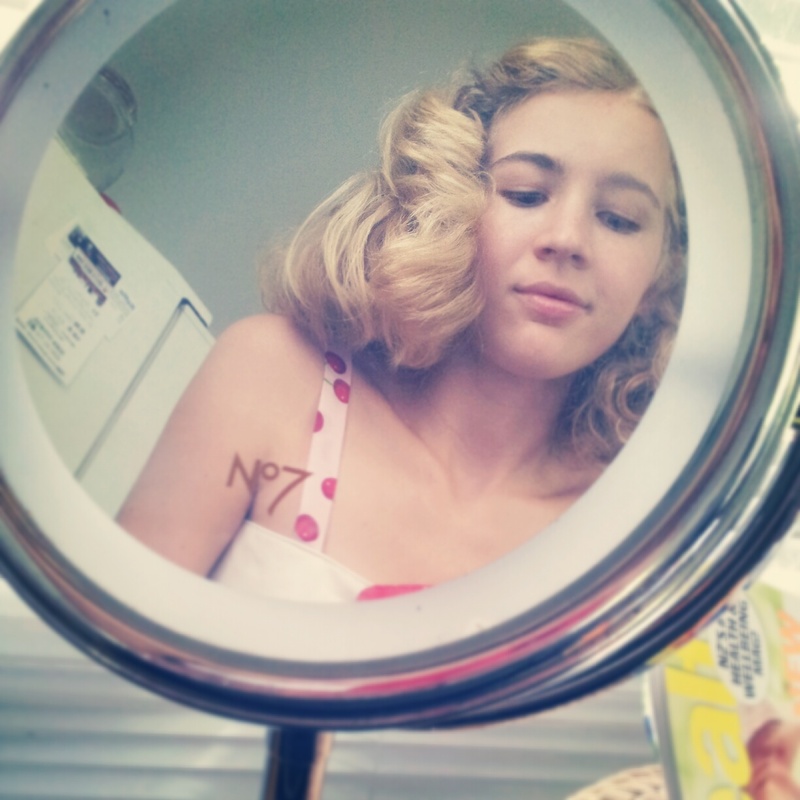 My hair was fabulous in the morning... But as soon as we left the house the wind destroyed my hair. Well, at least I got I a photo! I plan on using the same Vogue sewing pattern again as I find the dress to be a comfortable and flattering cut. I would like to make a black or navy dress or use a couple of different fabrics for the bust and skirt. The pattern also features a matching bolero which I intend on making later on, I still need to buy lining. The dress took me less than a week to make, though I was only sewing when I found time and this could range from 30 minutes to an hour each day. I am looking forward to making more vintage inspired dresses to twirl around in! 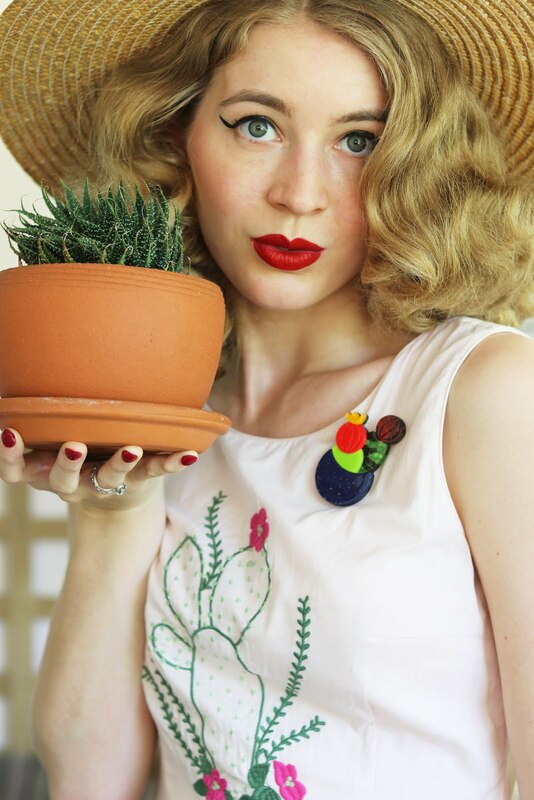 I have long been wanting to start sewing my own clothes and this makes me want to start today! Such a wonderful cut and fabric! It looks lovely for a beginner! Hopefully I can make my own pieces soon! Great job on your dress. I wish it was warm like this here:) Lovely pattern! 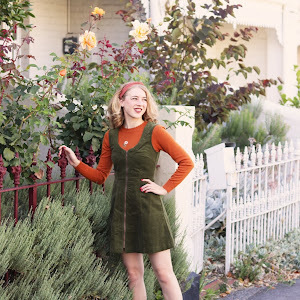 You did a smashing job on your first dress and your fabric selection is divine! For a first-timer, those princess seams look fantastic! It took me a good several garments to get those right. You might just want to consider tacking the straps a bit--the dress looks like it's going to slip!